I keep saying that I am not a sweets person, and I am not–I would pick a savory dish over dessert any day of the week. However, I might have to change saying this if I keep creating happy accidents as I did a while back, when I whipped up a delicious dessert for Hubby. He wanted a treat. I was not in the mood to go grocery shopping, so, I knew I would have to make do with what I had in the house. I looked in the fridge and the pantry and came to a quick conclusion–I need to exercise my imagination and hope for a miracle. I had a few pears on hand, which became my inspiration. I made batter, poured it into a muffin pan, placed it in the oven and nervously waited. 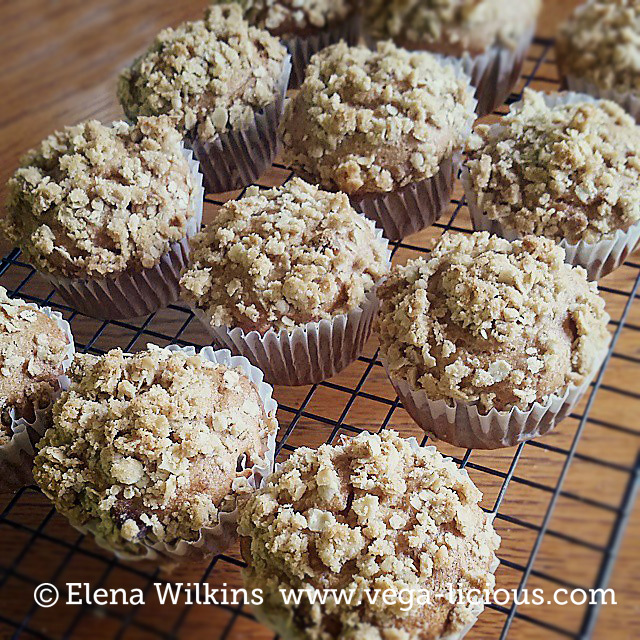 To my eternal delight, when I finally cracked the door of the oven open, I saw my banana muffins–little brown pillows of culinary delight. My mouth watered, my taste buds were not disappointed either–the first bite I took literally melted in my mouth. As soon as Sprout spotted me tasting the first muffin, she was on my case–she wanted one too! I could not cool them off fast enough in order for her to try it…she had three! Needless to say, Hubby was not disappointed either. 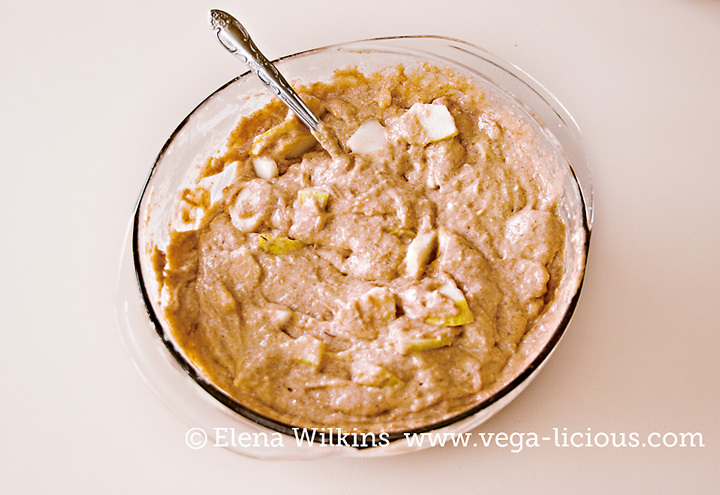 While this is not a totally guilt free recipe, it is an amazing treat for a special occasion. 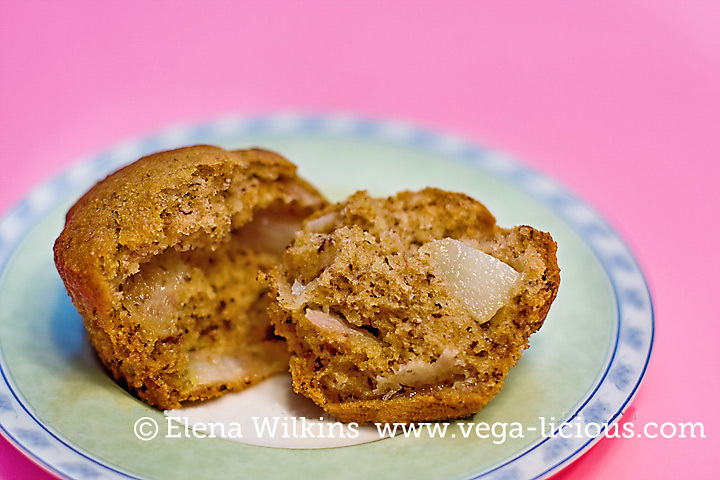 *I made these muffins with and without pears, and both variations were pretty amazing. Granola topping is optional, but it adds a lot to the muffin experience. If you do not have a food processor, you can mash or grate bananas by hand, then use a whisk and a bowl to follow steps 1 through 3. 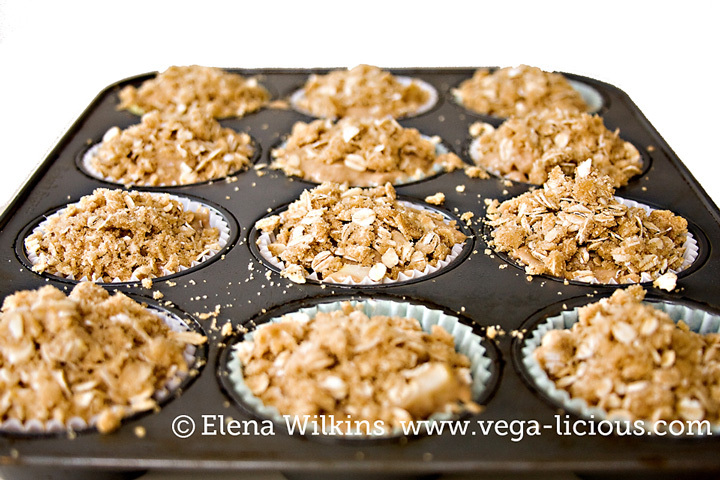 Let muffins cool for 3-5 mins, then place on a cooling rack for another 10-15 mins before enjoying. 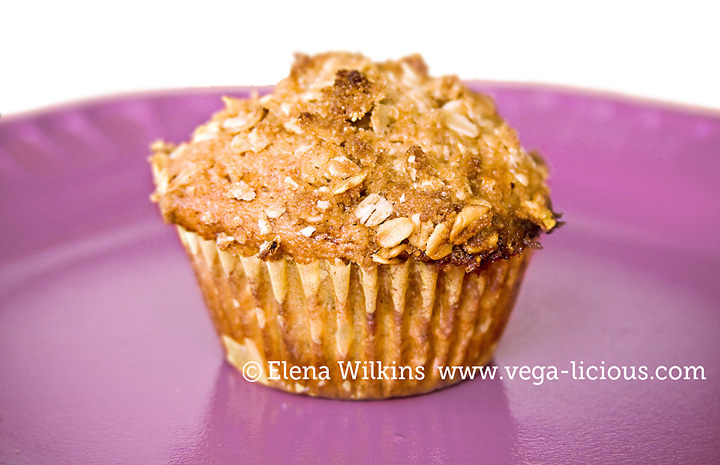 These muffins taste amazing when served with cold, unsweetened almond milk (we like the 365 (Whole Foods) brand). Make these. Enjoy them. Let me know how you liked them.